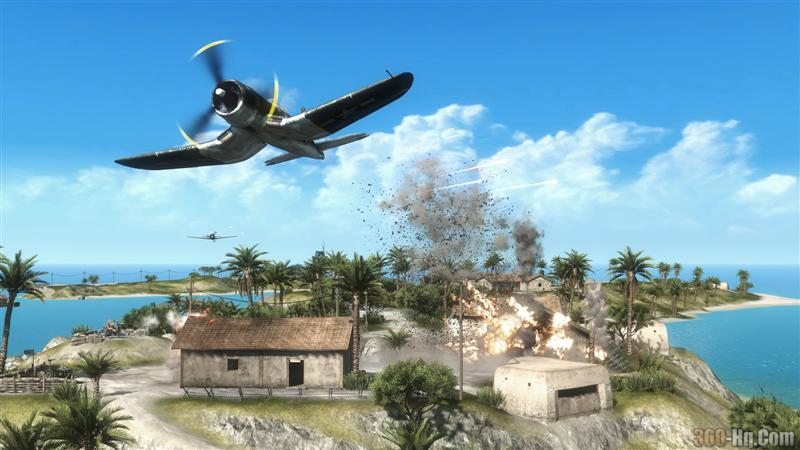 Battlefield 1943 is a must-have game on XBOX Live Arcade. What’s great about BF: 1943 is that one second you can be trekking through some bush land and then suddenly there’s an air raid and an intense skirmish between what seems like an infinite amount of players. There are bullets flying everywhere, buildings exploding one after the other, and vehicles flying through the air as players rush to be part of the action. Because the maps are all so large and the objectives so varied and challenging, you’ve always got to be on your toes. It’s not just a matter of slowly walking up to a wall to peak and see if there is an approaching enemy. Rather, it’s about anticipation and preparation, and knowing that any second you can be involved in some intense action. The environment does a complete 180-degree turn from silent and peaceful, to complex, violent and thrilling. There’s also a level of freedom that really highlights how well tuned and balanced the combat is. You can decide to go all-out and focus on killing opponents, or you can be the silent killer whose main aim is to take out the objectives. You can also vie for the devastating planes and tanks. Whatever direction you choose to go in on the battlefield, the game has a way to make you feel part of the battle. However, the lack of weapons may turn off prospective gamers who have a knack for the wide range of guns and perks available in the likes of Call of Duty. Truth be told, the three main classes fit the game perfectly, forcing you to focus more on your tactics rather than how many kills you get and how many weapons you can unlock and upgrade. There are plenty of tactics you can use during battle and the structures throughout the maps can be important tools for reaching and achieving the team objectives. Furthermore, the destructive nature of the environments can also be used as a way to “smoke out” or flank your enemies. When a match begins, there are plenty of buildings available for cover and team placing. However, as the match progresses, buildings can become the target of air raids and the like, making finding cover a difficult task. Because the battlefield keeps changing depending on the tactics of each team, it’s difficult to plan so far ahead and the game really forces you to make split second decisions in order to be successful. For example, if you’re trying to protect a flag that is surrounded by buildings, taking out the buildings will flatten the landscape and make it easier to spot approaching enemies. You not only take out any cover they could use, but you also make it easier to spot them before they get close enough to take you out. As the maps are so large, you might find yourself roaming around aimlessly for a while before you come across any action or objectives. Thankfully, the map has a helpful feature that highlights where all of the action is taking place, so if there is heavy fire between teams in one area, you can rush over there to be part of the action. It’s a great feature that should be used in all team-based online FPS, including modes in Call of Duty that include team objectives. There are only three maps and because the game doesn’t let you choose which one you play in regular matches (there are no lobbies or set-up menus), you may find yourself playing the same one several times in a row. This probably happens when there are lots of players online and the servers struggle to choose a random match, so going online at an off-peak time (normally in the mid-afternoon on the Australian east coast) might be wise. BF: 1943 isn’t a perfect game by any means, but it still does enough to make it feel like the complete package. It shoots itself in the foot with predictable tank and plane respawning locations, making it easy to just sit and wait for a new one to appear out of thin air. This is one of very few problems, none of which really affect the overall experience. There’s the occasional lag, but that’s to be expected with an EA game, and the game doesn’t do enough to introduce new gamers to the team-based gameplay. If you’re unfamiliar with this sort of title, you might feel a little intimidated by the large maps and often intense and complex action that can occur. At such a cheap price of 1200 MS Points, there’s really no reason why you shouldn’t purchase this game. The gameplay itself is just as good as it was in BF: Bad Company, with three really great maps and plenty of action. Matches can last a while, and once you understand and get used to the team-focused gameplay, you’ll be addicted. There’s a fantastic balance between tactical gameplay and generic FPS gameplay, and the level of freedom really makes playing this title a whole lot of fun. Battlefield 1943 Temporarily Taken Off XBL? BF4 multiplayer gameplay! and updates!!! Battlefield: 1943 HQ Game Weekend! All invited! 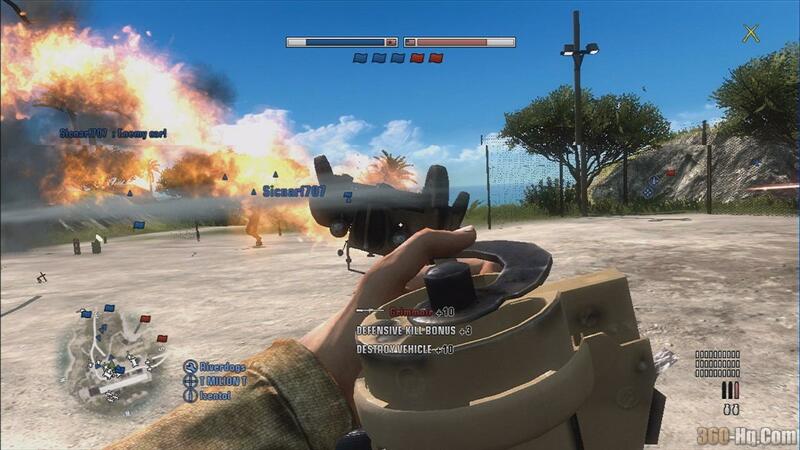 World of Tanks Xbox 360 Edition..